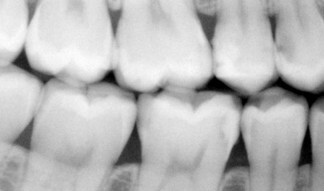 When assessing a bitewing x-ray of teeth, dentists can usually tell whether decay extends very close to the nerve of the tooth, known as the dental pulp. 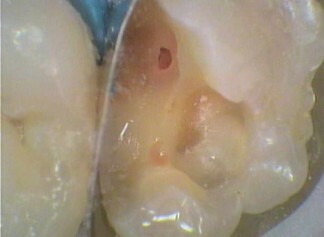 In these situations there is a risk that when the filling is being done, the decay will be found to extend into the pulp or within close contact to it. Sometimes all that is left is a half millimetre wall of dentine tooth structure over the pulp! When the decay comes this close to the nerve it can cause damage to the blood supply within the nerve chamber, which in some cases the nerve can overcome and survive, but in other cases unfortunately the nerve dies (and becomes infected with bacteria causing pain and swelling. In these cases, the next step is undergoing a root canal treatment or having the tooth extracted. A pulp cap is a treatment carried out so as to give the nerve a chance to survive after decay removal. It involves placement of an antibacterial medication over the exposed nerve, and then placing a filling that seals off the entire tooth. 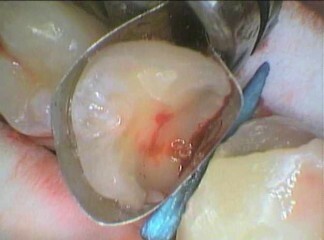 Where decay doesn’t extend all the way into the pulp, if it does unfortunately a root canal treatment must be done. Where the exposed pulp doesn’t bleed – because if it does, it indicates the nerve is already irreversibly inflamed. Where the tooth does not already have symptoms of pain/sensitivity present. After a pulp cap is done, we wait! Teeth are very resilient and can overcome a lot of insults. However, if after a pulp cap procedure is done, then severe pain and swelling occurs, this may mean the pulp has lost its vitality and further treatment must be carried out.